Iroquois South was recently honored as the 2017 Hartford Small Commercial Agency of the Year. The award was presented at the Hartford Summit at The Cloister, followed by a larger celebration in Charlotte on August 1st. Iroquois South is part of The Iroquois Group and serves Member Agencies in the Carolinas, Georgia, Florida, Tennessee, Alabama, Mississippi, and Louisiana. Agencies of all sizes join Iroquois to increase revenue, profits and agency value – without giving up their independence. For more information, go online to www.iroquoisgroup.com. From left to right: Christopher J. 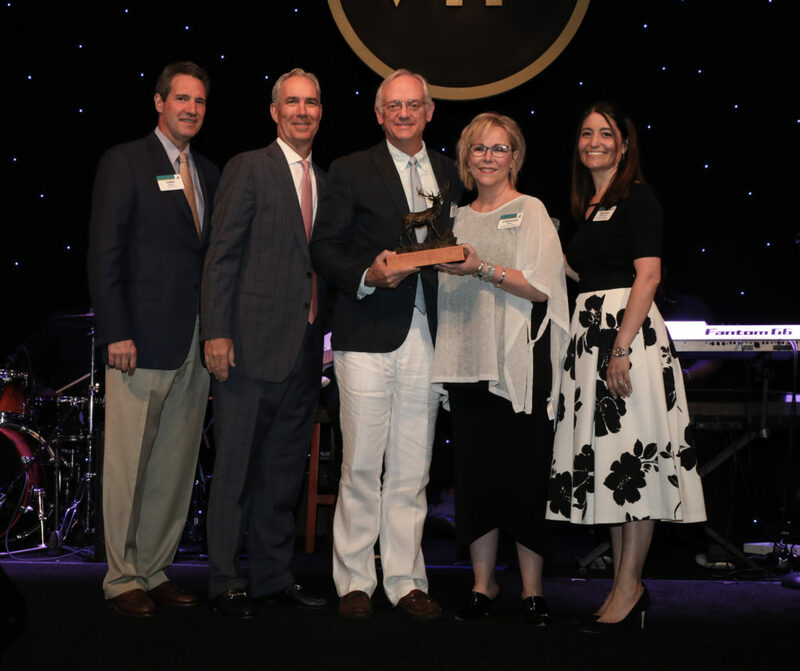 Swift, Chairman of the Board of Directors and Chief Executive Officer, The Hartford Doug Elliott, President, The Hartford David Ward, Managing Partner, Iroquois South Melinda Thompson, Senior Vice President, Head of Sales and Distribution; Chief Operating Officer, Personal Lines.